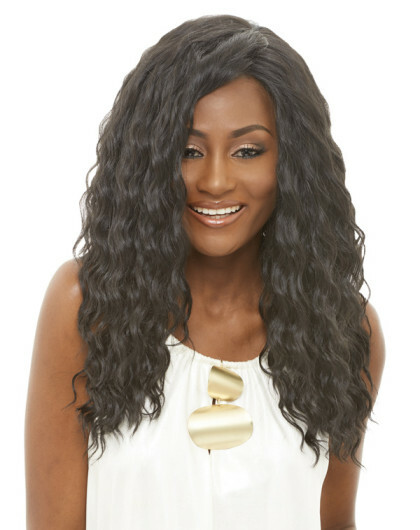 Blending modern hair innovation with natural looking styles, the U-Part wig is a versatile and easy to customize wig line. Our patented U-Part concept allows for natural dual parting. The hair can be parted on the left or right side, while giving you the flexibility to determine how deep the part goes. Each cap is specially designed and hand made. The hair in this series features premium synthetic fibers that have gone through nutritional fortification to allow for a remy-like feel. Our U-Part wigs are made to maintain its overall structure; the hair strands retain its curl pattern & remains ressilant overtime. 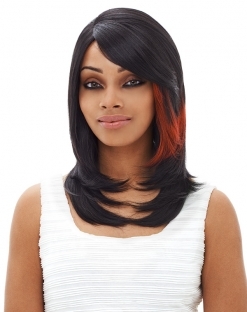 The U-Part wigs are tangle free and safe to heat style hair up to 360 degrees farenheit or 180 degrees celsius.